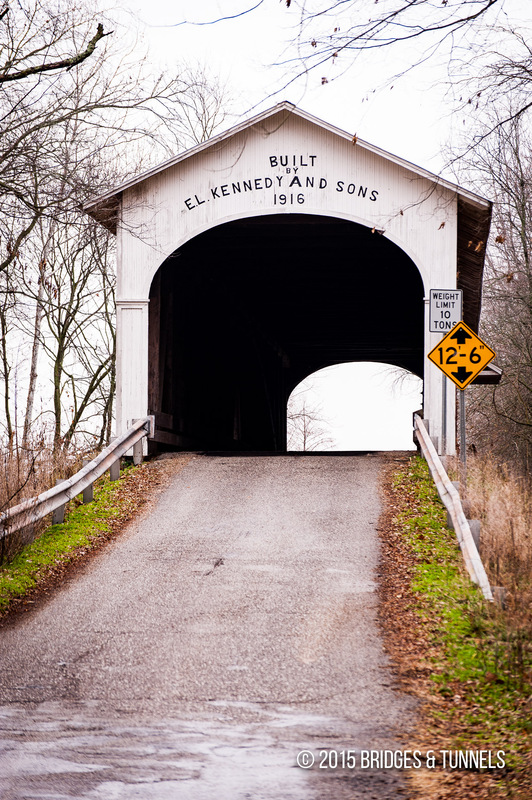 The Norris Ford Covered Bridge carries CR 300N over the Flatrock River in Rush County, Indiana. The bridge was constructed in 1916 and is the second to last to be built by Emmet L. Kennedy and his sons, Karl and Charles.1 The one-span Burr Arch truss was added to the National Register of Historic Places in 1983. 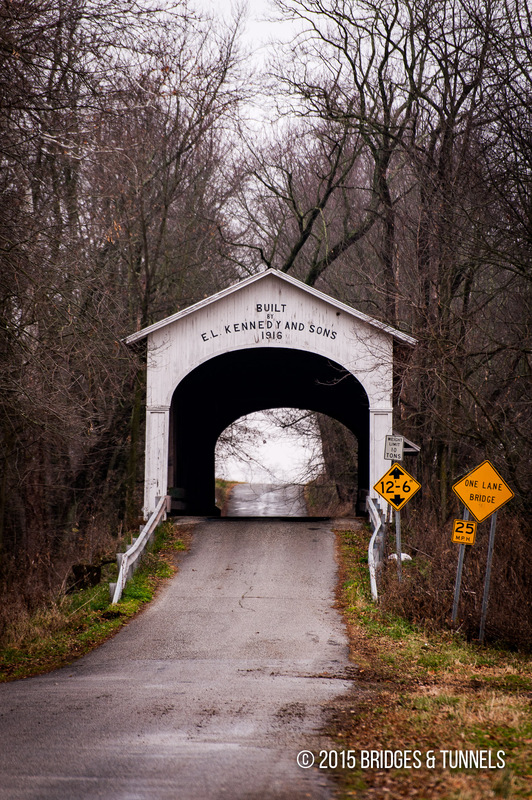 “Norris Ford Covered Bridge.”Indiana Department of Historic Preservation & Archaeology. N.p., n.d. Web. 31 Jan. 2013. Link. © 2000-2016 Copyright Bridges & Tunnels. All rights reserved.